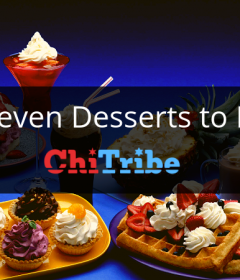 This is not your typical Bubbe and Zayde Seder. 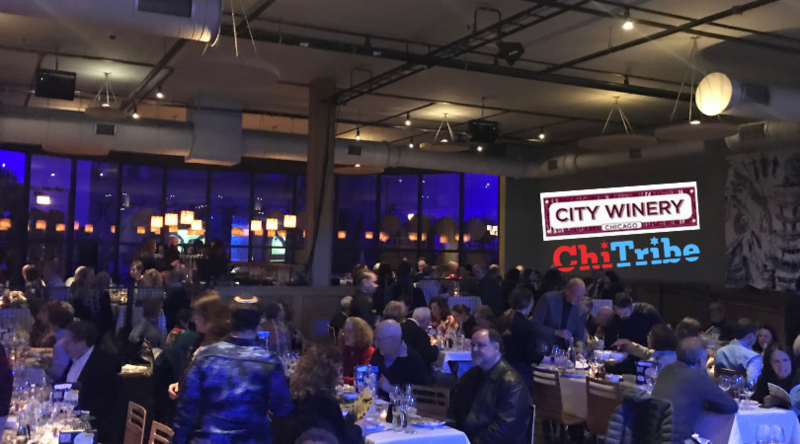 City Winery brings together performers, politicians, and local leaders making real change in the world. Each year, we are commanded to tell this ancient story in a language that we understand. 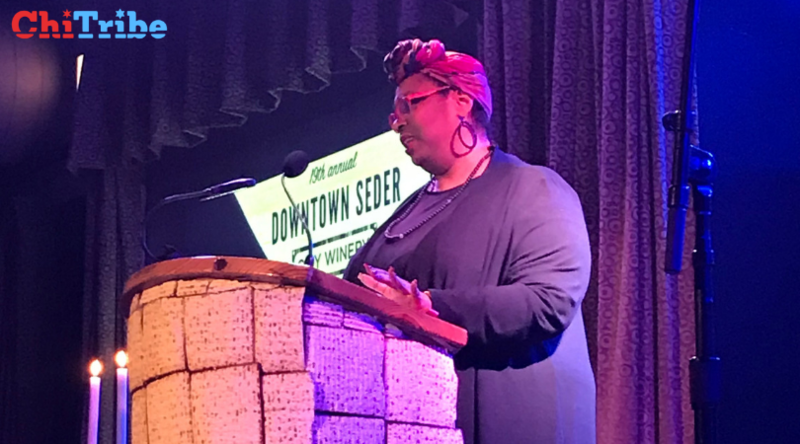 The Downtown Seder tells the passover story through language of the arts. 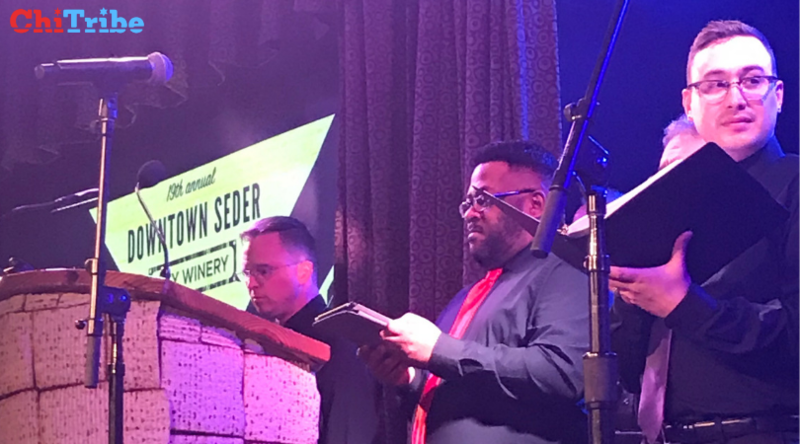 Inspired by the liberal Milwaukee seders of his youth, Michael Dorf crafts takes many liberties and does not follow the traditional order at all. 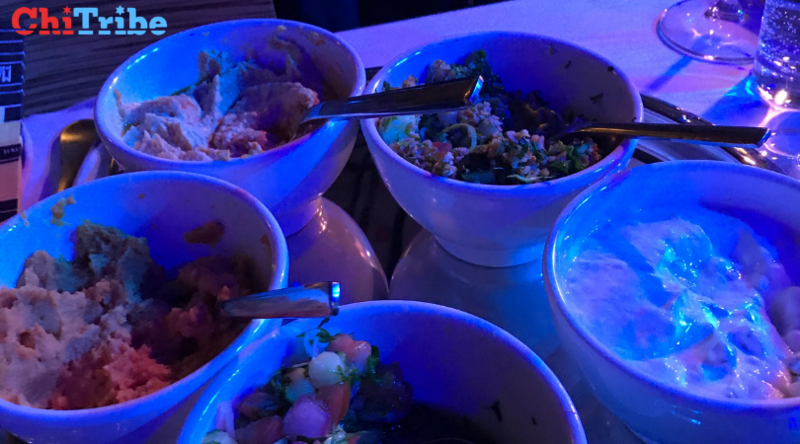 Since keeping 300 people (Jewish or not) waiting to eat is not wise in the hospitality business, the food and wine are pushed to the beginning of show. 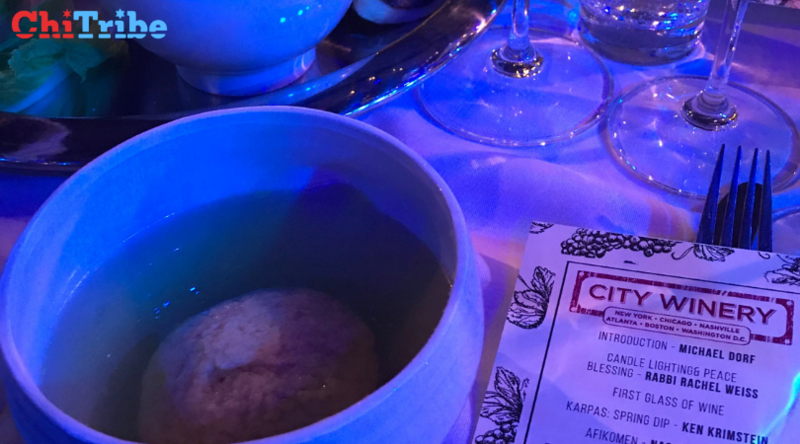 Also, there was actual edible Matzo provided by the Matzo project and many more than four cups of delicious wine. Host of the night, Michael Dorf was clear from the start: No form of hate is acceptable. This seder is a space to remind ourself that vulnerable minorities in this country are safer and stronger when we stand together. This modern take on an ancient dinner aims to inspire all of us to create sanctuary and unity to our fellow humans on this small planet. Passover transcends all religion and it can be a tool for all because freedom is at the core of the story. Take note of his Matzo Vest. It is epic. 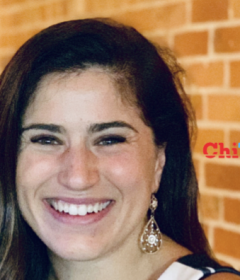 Rachel Weiss is the first Female and openly Gay Rabbi at the Jewish Reconstructionist Congregation in Evanston. Her blessing over the candles was unique and truly enlightened. “Every Jewish holiday begins in the dark. We start every holiday from a place recognizing that we have more to understand and celebrate. We are a people and a religion, not just of faith but of action. It requires us to strike the match. It requires us to light the candles, to light the flames, and to shine the light in the world. Passover is a holiday about power. Who has power. Who doesn’t have power. Who is still oppressed. And who has been overcome by the power they have that they have forgotten what it was like to be a slave. When we light candles, we commit that the light has to start with us and can be as small as a match. We remind ourselves that there are ways we are still in the dark. Since VIPs Laurie Lightfood and Ram Emanuel both could not make this event, Michael Dorf led the prayer. 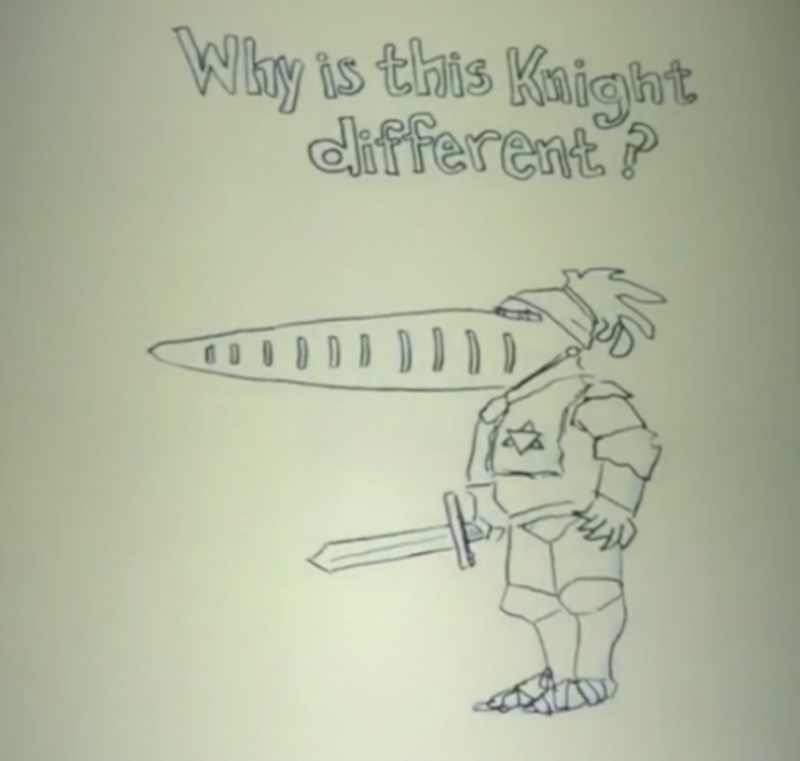 Cartoonist Ken Krimstein, featured on asked us all why this KNIGHT was different than all others. Ken explained that Passover is a holiday practically invented for cartoonists, full of roasted bones and weird food and uncles with hair coming out of their ears. 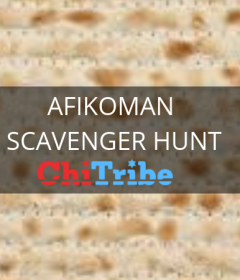 Former Jewish Person of the Week and self proclaimed “expert on all things Judaism and local comedian, producer, and writer Naomi Spungen is the Afikoman of the show. 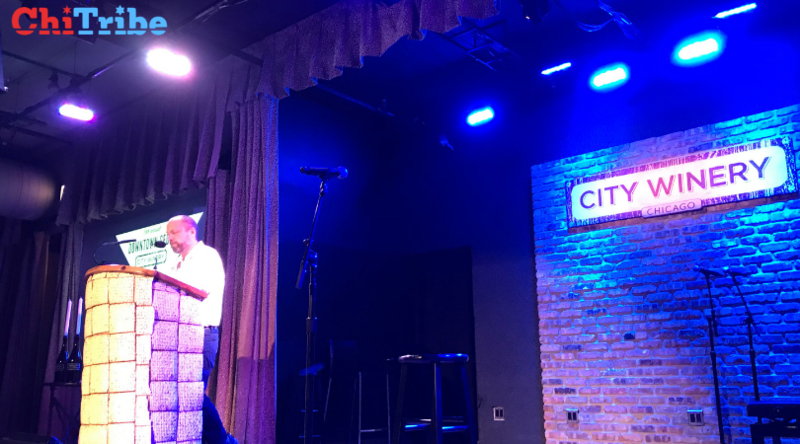 We Jews need a minute to laugh before we confront and reflect on injustice and oppression of our story and the stories of vulnerable minorities in America. It is most difficult to believe that all electric sounds produced on stage were just from a harmonica. 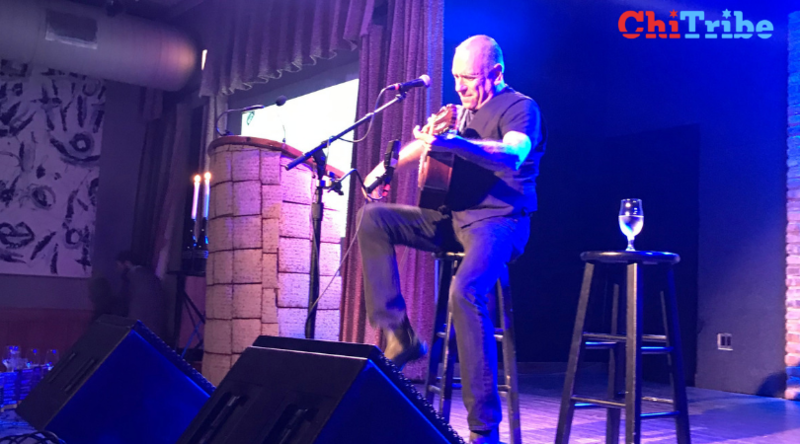 Corky redefined the instrument for everyone in the audience.